There is no category in the world of Sparkling Wine that has garnered as much market share in such a short period of time as Prosecco. But what, reallly, is Prosecco? You might think you know the answers, but recent changes in Italian wine law require a refresher course. Also, understanding how it is made and how to serve it correctly can help improve your appreciation. But first, let’s put Prosecco in context. A carafe hits the table. A carafe full of Prosecco. You didn’t order it, but you will be charged for it. It’s as much a part of a meal in Northeastern Italy as bread and water in America. The purpose of Prosecco is clear: to clean out the tastes (both physically and mentally) of the day and prepare you palate for the evening. It’s a way to symbolically raise a glass and mark the shift from your daytime worries and hurries to an evening of friends and family. In this respect, Prosecco has a different purpose than Champagne or Cava: where the former is light and refreshing, often the latter is more yeasty, toasty, and rich. Prosecco is one of the perfect starts to an evening, but is often not suitable for main courses. Great Prosecco is to be light, frothy, clean, and airy. Often times it has a touch of sweetness as well, which only helps in its job of preparing you for a meal. 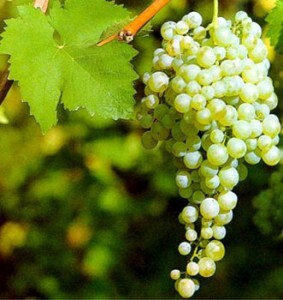 It used to be that Prosecco was both an area and a grape, which led to much confusion when the Prosecco grape began to be planted and bottled outside of the region. 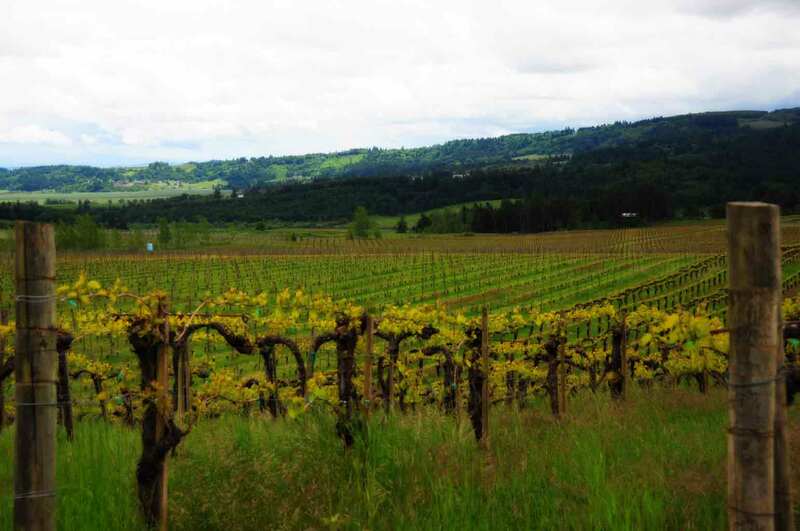 Imagine the crossed eyes if Carneros was both a grape and a place, and you could buy a “Carneros” from Oregon. Head spinning yet? Multiplying the confusion is the stratospheric rise in popularity Prosecco has had in the last ten years. Starting in 2002, imports of Prosecco have seen double digit increases annually to the United States (with 2008, the year of the great recession, being sighted as a particularly amazing year as Champagne drinkers abandoned their higher price points for the much more reasonable cost of Prosecco). With so much more Prosecco suddenly on the market, it was important to reign in the ‘imposters’ from outside the DOCG zone. In August of 2009, Prosecco was dropped by the European Union as the name of a grape varietal, replaced with the very odd and generic sounding name Glera. (Can you even imagine a more radical nomenclature shift?) So today, Prosecco is a region, and only a region, and they plant the grape Glera. 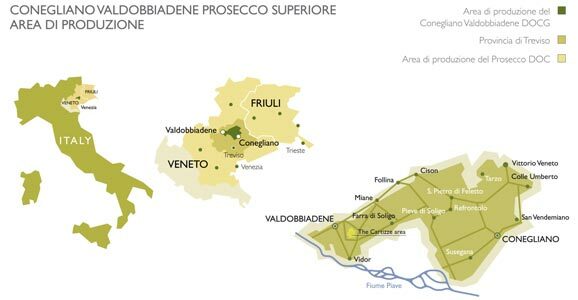 The same grape planted outside the zone is no longer allowed to use the name Prosecco. The grape formerly known as Prosecco. In Champagne and Cava, the bubbles are achieved through a second fermentation in the bottle. In Prosecco, it’s a little different, using a method called Charmat. The chemistry is the same: yeast + sugar = alcohol + carbon dioxide (which is not allowed to be released, and thus re-enters the wine on a molecular level), but rather than doing the work one bottle at a time, it is done en masse via large stainless steel tanks. To bottle the wine, a special bottling line is used that does all the work in a pressurized environment. The efficiency of this method is obvious, and helps to make Prosecco so affordable. Because of the method of winemaking (Charmat), most Prosecco does not benefit with aging and should be consumed with “sooner rather than later” in mind. If you have bottles of Prosecco sitting around from years ago, there is only one way to find out if they are still good: pop them! Just don’t do it at the all important “dinner with your boss” event. Serve Prosecco chilled as you would Champagne (with Prosecco, right out of the refrigerator is just fine … with Champagne you want to let the bottle sit for a bit and not serve it too cold). Because some people are ‘bubbly adverse’ (we don’t understand these people either), it’s a great idea to simply greet your guests at the door with Prosecco. Often, we have found, those that would graciously decline an offer of a glass if asked are in fact the ones that enjoy it the most. So just put the glass in their hand, watch them enjoy the first sip, and observe as the memories of the day start to melt from their minds as they settle into a great evening with you. If you want to read further on the world of Prosecco we highly reccomend the article at HonestCooking.com on exploring throughout the Prosecco region. It’s comprehensive and beautifully written. Our Prosecco portfolio at The Wine Company is extensive, covering a wide variety of producers. These include Adami, Col Vetoraz, Riondo, Mochetto, and Il Follo. Seek out these gems in your favorite stores and restaurants! Can you serve Prosecco in a white wine glass or do you serve it in a flute? Lina – Prosecco can be served in either. Overall, you’ll be able to get more of the aroma from a white wine glass, but a flute works beautifully as well.